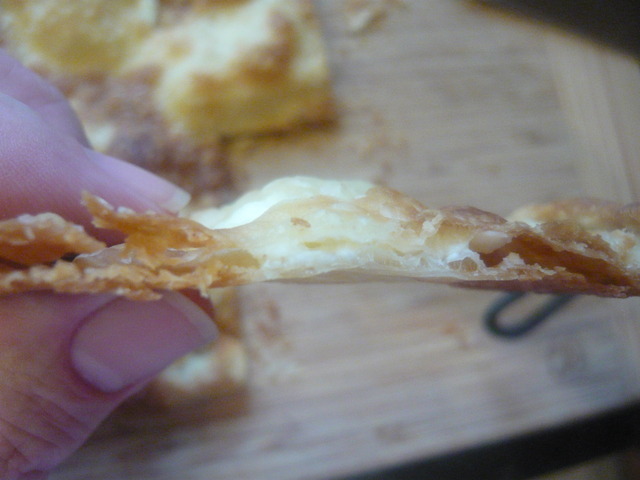 Mix the oil with the flour and salt to form a course crumb, this will help create a flaky crust. 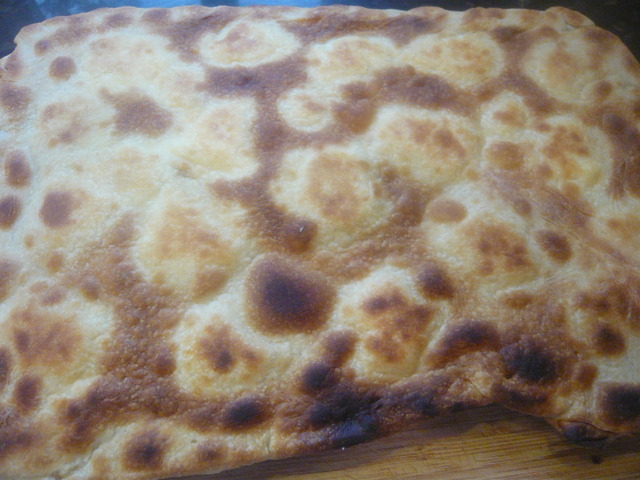 Add the water and knead to form a smooth dough. 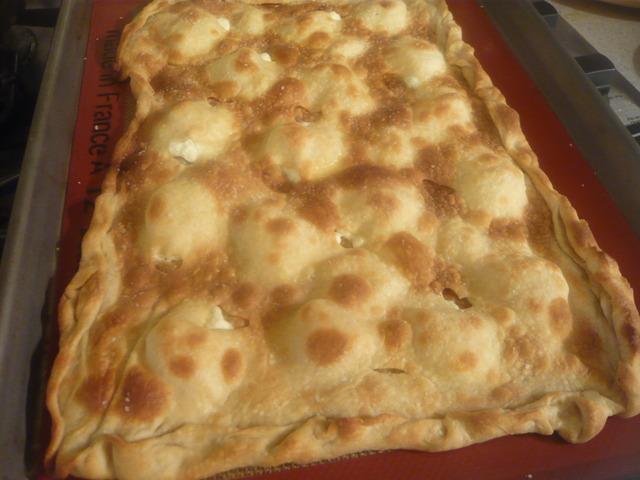 I slap the dough down on the counter then roll the heel of my hand forward. 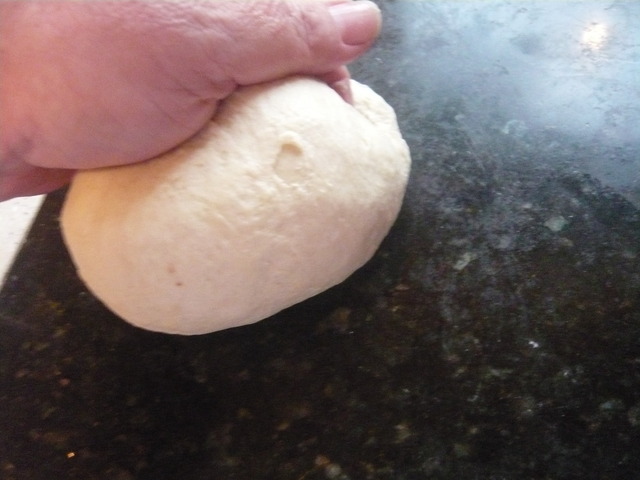 After a couple of dozen of times the dough ball will be smooth and silky. I let the dough ball rest while I went to work. 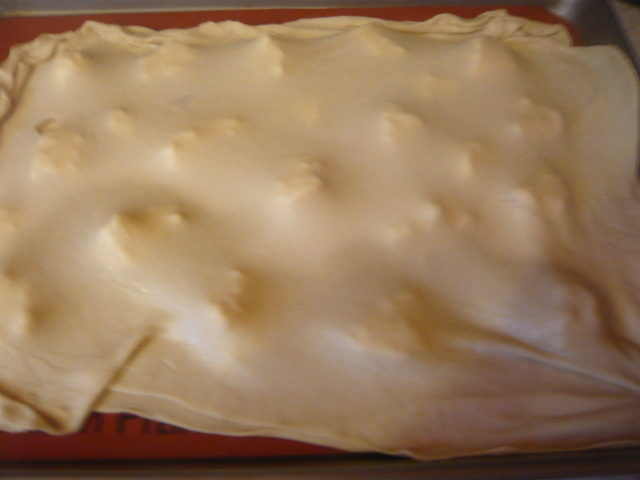 The dough is divided into two balls of about 177 g each and rolled out to fit on a half sheet pan covered either with a Silplat or parchment. 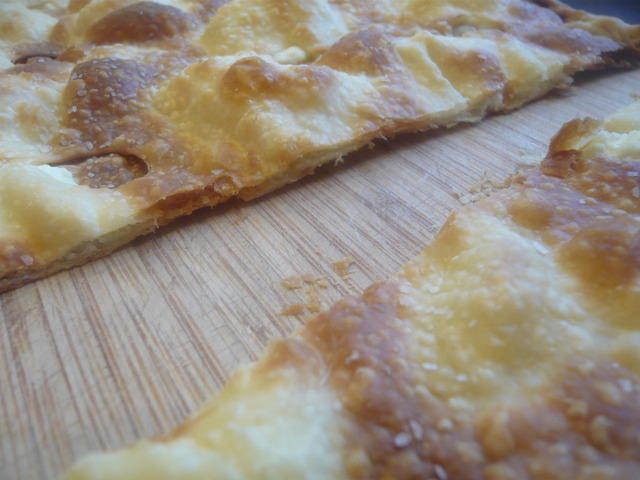 Slits are cut in the dough to allow steam to escape. 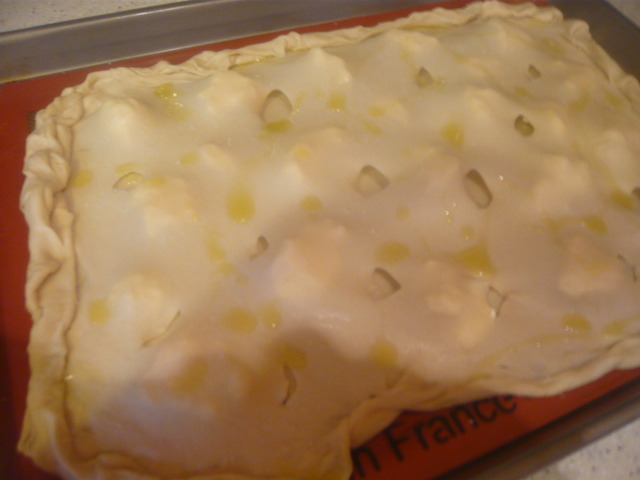 Preheat the oven to 500 F.
Very good extra virgin olive oil is dribbled over the top along with a pinch of salt. 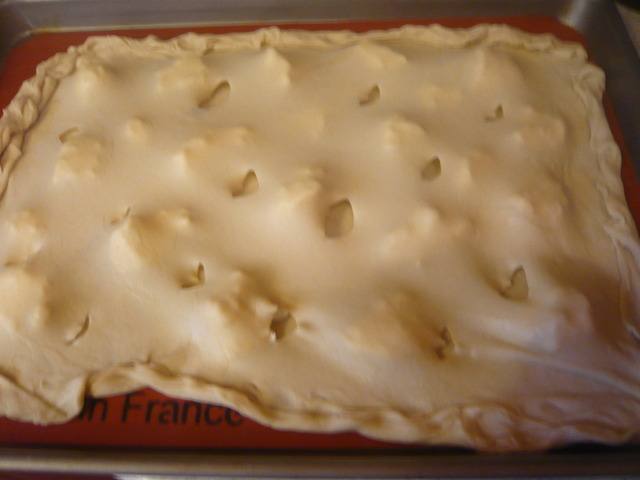 Underside after baking for thirteen minutes in the middle of my oven. 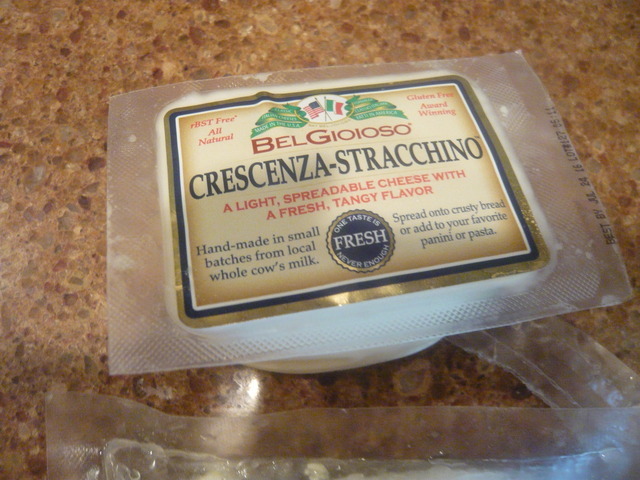 The proper cheese would be Crescenza or stracchino. Looks great. Is it crisp or soft? Crisp like a saltine cracker. 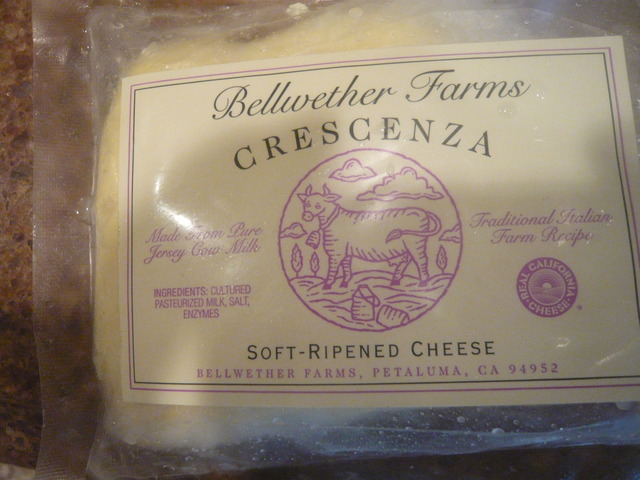 Really delicious when you come across a bit of the cheese. Surprise Pauline. That last photo's going to haunt me! i am definitely going to have to try this one myself! looks like it would be a good dish to take to a party. 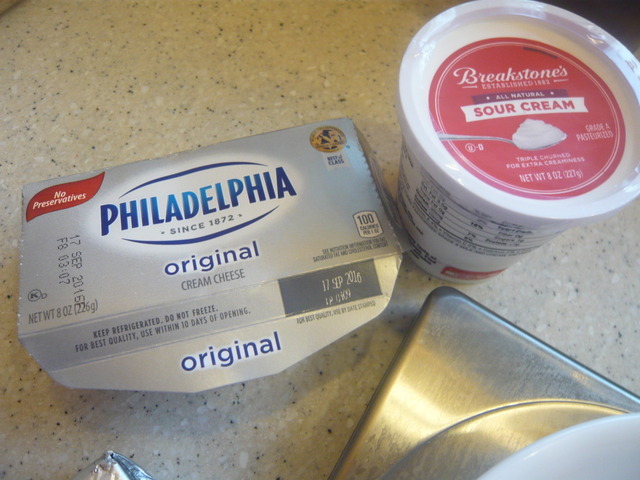 Here is the correct cheese. The blend I made is in fact close to the first one posted. 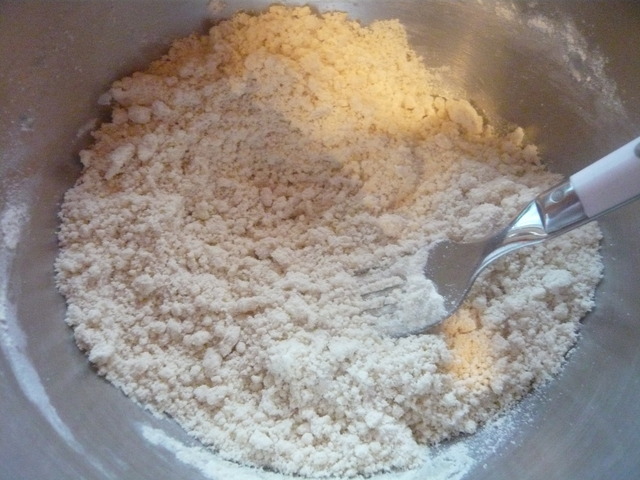 NCPaul, would the UK equivalent of the All Purpose flour which you used be UK Plain flour or UK Strong White flour? Plain; your UK strong white flour is what we refer to as bread flour. Do give this a try, it's a great snack.